Mrs. Lamia Ben Ayed is the owner and founder of Musk and Amber, a design gallery and lifestyle concept store based in Tunisia. Musk and Amber promotes global designers, with particular focus on those from the MENA region. Ben Ayed opened the store in 2013 and has since launched an associated foundation to support local crafts and artists, and ensure the quality required to launch local designers onto an international stage. Ben Ayed’s interest in design, contemporary art, and fashion grew from her experiences in Tunisia, Switzerland, France and Saudi Arabia. 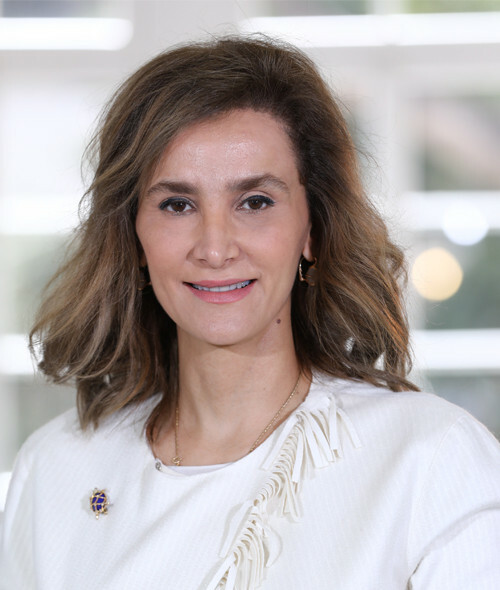 Born in Tunis, Tunisia, Ben Ayed completed her secondary education in Jeddah and Geneva and obtained a DEUG in Law from Pantheon-Assas University. She continued her studies at the American University in Paris, in the field of International Affairs and Political and Comparative Studies. After graduating, she joined the United Nations High Commissioner for Refugees (UNHCR) in Riyadh. In 2003, Ben Ayed pursued a Master in Political Science from the University of Law and Political Sciences of Tunis. She taught International Institutions and Organizations at the Institut des Langues Vivantes in Tunis until 2008. In October 2014, Musk and Amber Gallery participated in Downtown Design Dubai and curated in partnership with Harper’s Bazaar Interiors, an exhibition showcasing designers’ artworks from Tunisia, Egypt, Iran, Lebanon, Kuwait and Saudi Arabia.